The roller suspension "making-machine" uses rotating moulds to manufacture the core part of a pipe with a preset internal diameter and longitudinal pre-stressed bars. The wire winding machine applies pre-stessing to a pipe by wrapping pre-stressed wire around the outside of the core pipe. The mortar "coater" machine covers the pipe and wire with a mortar finish to provide protection. As part of a full machine design re-appraisal, ITI compiled a complete set of engineering fabrication drawings for the framework and operational components of the winder, incorporating many refinements in comparison with the original design. In particular, the hydraulically-operated regenerative wire-winding system was assessed with a view to re-design using modern componentry. As a result of this, the budget for replacement of the total machine was brought down to the level originally quoted by contractors for supply of hydraulic machinery components only. ITI has since been requested to conduct a similar exercise on a second larger wire-winder owned and operated by Macrete. As part of that contract, we would anticipate replacement of an existing mechanical tensioning system with a hydraulic system as specified for the smaller winder. Electronic control of a variable displacement hydraulic motor will also improve considerably the ease of adjustment of the machine for winding core pipes of varying outside diameters. A 6mm high yield steel wire is wrapped several times around a tensioning wheel which in turn is attached to a high torque hydraulic motor. Oil from the motor is at the same time driving a second motor which turns the pipe. The rotational torque of the two motors is then used to generate a tension in the wire as it winds onto the outside of the rotating pipe. A second wheel moves linearly along the length of the pipe, thus allowing the tensioned wire to be wrapped around the pipe at the 'pitch' required. (See thumbnail animation opposite). force from an engine test-bed � and this at acquisition rates of several Mega-Hertz and at levels of accuracy of better than +/-0.5%. 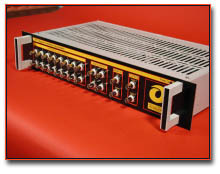 This places very stringent requirements indeed on any test cell data acquisition system, and especially where small high-speed high performance engines are concerned. The Internal Combustion Engines Research Group (ICERG) of the Mechanical Engineering Department, Q.U.B. has been involved for many decades in the testing and development of internal combustion (IC) engines, and particularly high performance motorcycle engines. Through that time, the Group has earned an extremely high worldwide reputation in this area, having notable success in modelling of IC engines and catalysts. To capitalise on this proven research ICERG have teamed up with Optimum Power Technology Inc. (Pittsburgh, USA) to market a range of powerful software tools, now used widely by many of the big names in engine and catalyst development..
Full PC control of system via serial interface (upgradeable firmware). 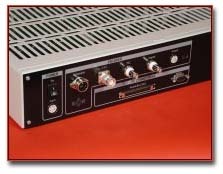 All-in-all the SCU takes advantage of low cost PC hardware and advanced electronics to produce a unique high-speed data acquisition system capable of sampling up to 1.25 MHz in either time-based or angle-based mode. The system provides automotive engineers with significant savings in both cost and time over other available systems due to its ease of use and unique filtering system. Its break-through software controlled digital filtering system ensures that the correct level of filtering is applied to prevent aliasing of the incoming signals regardless of the engine speed. Corriboard is a popular rigid plastic material similar in structure to corrugated cardboard. 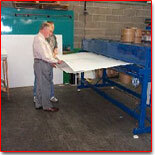 It is commonly used now to make a very wide variety of recyclable packaging and storage containers for education and industries such as automotive, fisheries and food etc..
For many years the client company has produced Corriboard based products, with the majority of the box shaped products requiring a seam to be welded shut to form a stable box. The technique used for several years was based on spot-welding using ultrasonics. While this method gave a satisfactory mechanical joint, it did leave unsightly depressions in the seam where the ultrasonic heads pressed together. The company was finding that some customers were hesitant about the products as a result. The technique of using ultrasonic heads was also inherently slow and expensive in terms of the capital cost of the welding equipment. With the assistance of Manufacturing Technology Partnership (MTP), the company approached ITI to investigate solutions. ITI worked through two initial stages, the first including provisional research into suitable jointing techniques and five concept designs, and the second taking one conceptual design using hot air to a more detailed level. The second stage report also offered an approximate 'time and materials' budget for the work and a review of the technologies and hardware options best suited to the selected welding concept. As a result of the above work, ITI was asked to design, manufacture and commission a Hot-Air Welding Machine for the client company. The function of the Hot-Air welding machine is to form a continuous weld in a two layer overlap of Corriboard plastic. The range of Corriboard gauge is from about 3mm to 8mm. The machine operates on the principle of directing a constant flow of hot-air between and onto the two plastic surfaces to be welded together. A suitable shaped nozzle tucks between the overlaped surfaces, directing the hot air through several pre-heat slots and out the end of the nozzle. The surface layer of exposed plastic becomes molten, allowing the layers to be fused together by two stages of pinch rollers which follow the nozzle. The material is automatically fed past the nozzle thus forming a continuous joint. When the flat Corriboard box leaves the machine the weld is sufficiently cool to maintain the joint against abuse. Read more about the KBC machine at the MTP website. 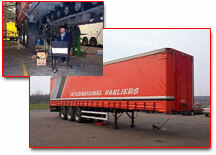 The client was a manufacturer of a wide variety of trailers for the haulage industry, including trailers which are constructed on what is known as a lightweight chassis. From time to time in the past, the company had encountered occasions where these 3-axle lightweight trailer chassis had developed cracks at particular points in the welded high-tensile chassis structures. The company therefore decided to instigate a research exercise to pinpoint the causes of the localised cracks. ITI was approached to assist in the capture of data that could ultimately be supplied to a Finite Element (FE) model of the chassis to allow fine-tuning of the chassis design to resolve the material failure problems. To do this ITI had to conceive a means of instrumenting the trailer sufficiently to capture the pertinent stresses, and a series of rigorous tests to allow for accurate interpretation of the captured data. The lightweight trailer was fitted with a total of 20 No. strain gauges, 2 No. air suspension pressure transducers, 1 No. wheel speed pickup, and 2 No. inclinometers, all placed to maximise the useful data obtained. 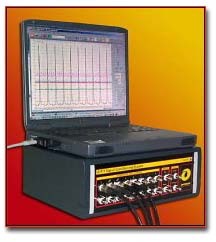 The signals were captured on a notebook computer during the tests and post processed. A series of tests was also devised and carried out on the trailer to obtain data suitable for calibration of the various sensors and to verify any assumptions made. Three Road Runs provided for extensive sets of dynamic test data. The runs included a chicane test, roundabout manoeuvre, rough and smooth road tests, and tight turns, amongst others. The data obtained from the static tests provided the basis for correct interpretation of the data observed during the dynamic tests. An immense amount of valuable information was obtained from the above work, much of which could be applied to improve the chassis design with or without the use of FE modelling. The graph shown below is a short extract from the second Road Run (dynamic testing), showing the measured stresses in the top & bottom leaf-spring strain gauge sets both nearside and offside. Numbered points are highlighted where particular road features correlate with data. The bottom trace on the graph indicates the trailer speed (km/hr).